It is interesting to see how humanity struggles with how to view the rest of the animal kingdom. The Western, Judeo-Christian view is one of human dominance over other forms of life, where animals are put on the Earth for man to use according to his will. Some other religions & philosophical systems, however, see all life as interconnected & sacred. A deeper understanding of the perceptions and mental experiences of other living things is leading us to a more insightful relationship with other creatures. People are beginning to realize that many animals also feel pain, enjoy social bonds, and have a rich inner life. I am currently reading a book that my girlfriend's parents gave me, called "Baboon Metaphysics". They know that I like anything about monkeys or apes, and the book is excellent so far. It is about the observations of intricate social hierarchies and complex behaviors in primates. The experimentation and industrial farming we currently force upon animals will one day be seen as ignorant savagery. There are currently people fighting to gain certain rights for non-human species, in order to prevent their exploitation & abuse. 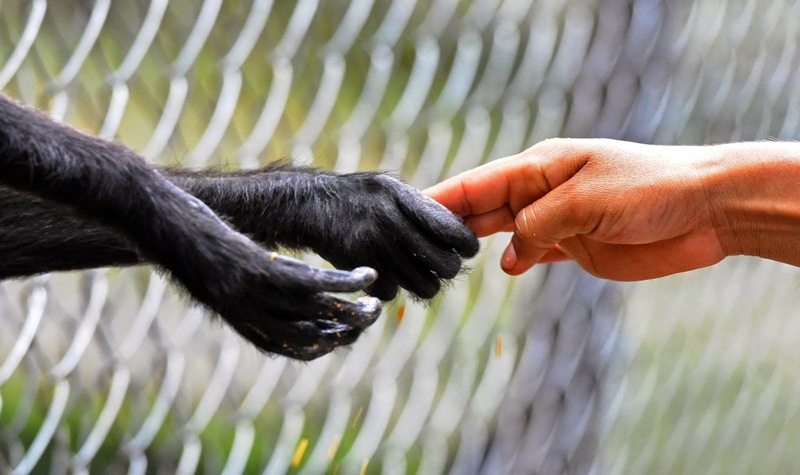 One group, The Nonhuman Rights Project, is legally arguing for the "personhood" of chimps Leo & Hercules. They are trying to get these chimpanzees released from captivity into a sanctuary. It has also been announced recently that Ringling Bros. and Barnum & Bailey Circus will stop using elephants in their acts. I think people are going to have to seriously reconsider the status of animal life, starting with species possessing complex cognitive functioning- like primates, dolphins, elephants, and other mammals. Once a more empathetic view of these animals is established, then our relationship to other living beings can be re-examined. Only then, will a more harmonious existence with all life in our world be possible. I saw this cool animated GIF of a ying-yang, rendered in 3-D computer motion graphics. The yin-yang is a symbol from the religion known as Taoism, which sees the world as a natural flow state- a dynamic harmony of both opposite & complementary forces. This animation demonstrates that multi-dimensional interaction quite nicely & creatively. 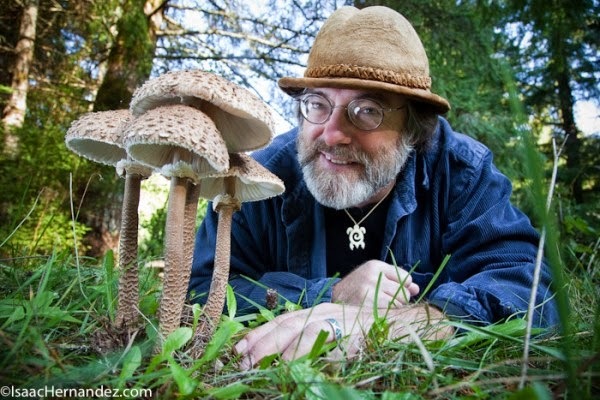 I recently listened to this excellent presentation by mycologist & naturalistic innovator Paul Stamets, about the role that mushrooms and other fungal organisms will play in the future of humanity & the planet. The talk is an hour and a half long, and well worth the time to listen. 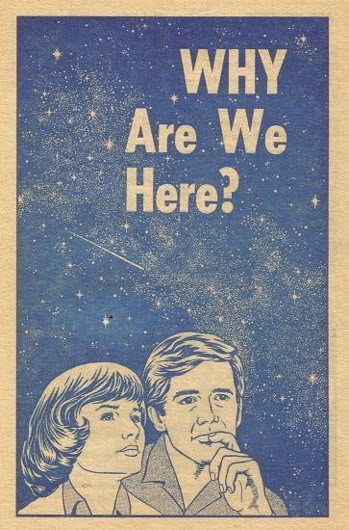 It is full of thought-provoking information and research about the vital role performed by these unique lifeforms in the natural ecosystem. Stamets also discusses some of his technological developments, using living fungal systems. The most unique aspect of the fungus is its mycelium- the branching, thread-like connective matter that is usually hidden within the soil or in its symbiotic partners. These are the chemical & enzymatic pathways that allow fungi to sense their environment and create novel strategies to deal with any situation they come across. The visible forms we usually associate with fungi, such as the mushroom caps, are just the fruiting parts of the fungus that are used to release spores. 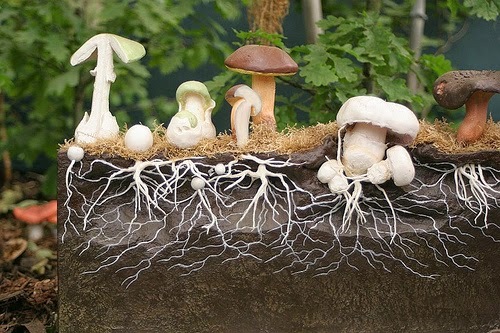 The vegetative part of the fungus is actually the mycelium, within the soil. The web-like structure of the fungal mycelia can be seen as a fractal representation of the interconnected nature of reality, which exists on all scales and in different forms. 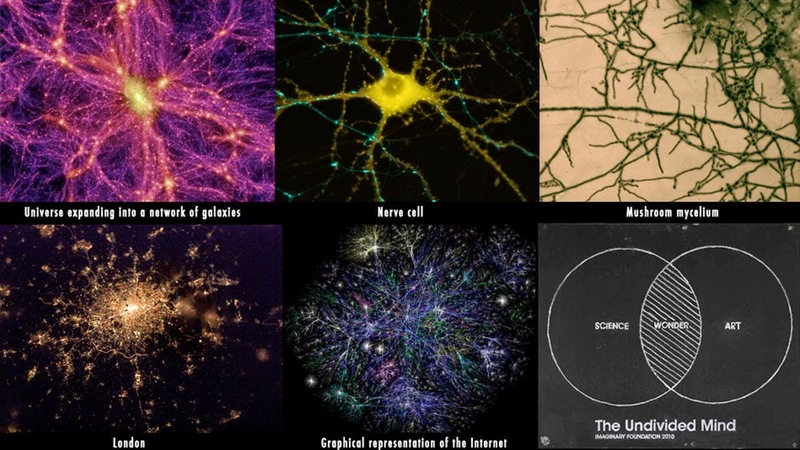 This same kind of connectivity also defines the structure of large-scale cosmic network of galaxies, neural architecture in the brain, layouts of human cities, and the global distribution of The Internet. Connectivity is a fundamental characteristic of The Universe. Today is Earth Day, and it's a good opportunity to reflect on the importance of the living ecosystem that sustains life on this planet. I love nature and being outdoors, so Spring is a time I truly enjoy. The return of animals, warm weather, and greenery on the plants & trees makes dealing with the winters of a temperate climate worthwhile. The industrial age has wrought all kinds of havoc on the Earth, some of which may be irreversible- such as climate change and mass extinctions. However, I feel like we are finally entering a time where mankind will learn to once again live in symbiosis with nature, instead of trying to subdue it & exploit its resources. People are increasingly looking toward nature-based solutions to approach technological problems. By working with nature and using design solutions based on living systems, we can begin to undo the damage from centuries of destructive human activity. I made this graphic below to express the importance of maintaining a vibrant, living planet- in order for humanity to thrive, along with the countless other lifeforms that dwell here with us. Despite being an artist by profession, I've always been interested in science. The more I learn, the more mysterious the world actually becomes. Biological life & the human body are endlessly fascinating. When you begin to learn about the functioning of Life on a microscopic level, a whole new world opens up that is both strange and beautiful in its complexity. For me, it it is much easier to comprehend something when I see a visual representation of it. That is why I love computer animations & digital renderings of otherwise hidden phenomena. Technology allows us to visualize previously unimaginable or inaccessible information. Recently, I found this page of computer animations that illustrate various processes that occur on a molecular or cellular level. The animations are broken up into categories. When you click a movie, it can take you to the site of a university or lab with even more videos. It is great resource for those with an interest in microbiology, or for those who are just curious about the infinite complexity and variety of living systems. 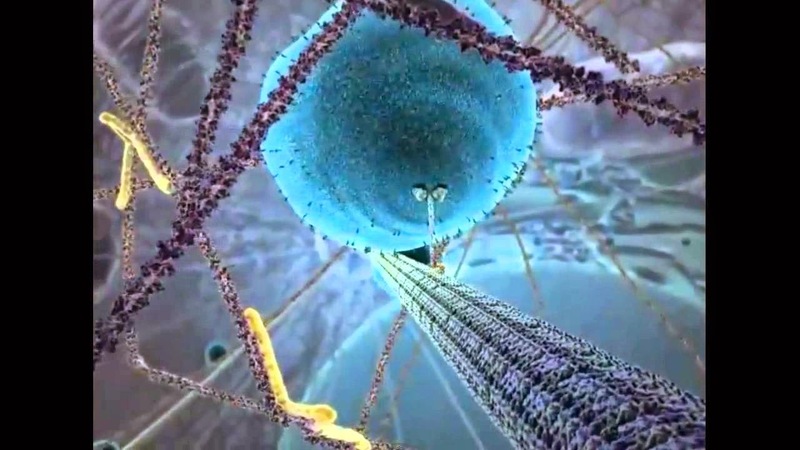 I've seen this awesome animation before, which is titled "The Inner Life of The Cell". It shows the ecosystem of cellular activity that is going on within our bodies all the time, without us even being aware of it. A full version, with narration describing the processes shown, can be found here. Here are more amazing computer-rendered visualizations, from Hybrid Medical Animation. latest promotional reel from hybrid medical animation on Vimeo. Synaptic Transmission from hybrid medical animation on Vimeo. I created this poster to express my dissatisfaction with "The War on Drugs" and the harm it has caused our society over the past 100 years. Feel free to save it, share it, print it, distribute it, remix it, or do whatever you want to do with it! If you could link to this page as a source, it would be appreciated. 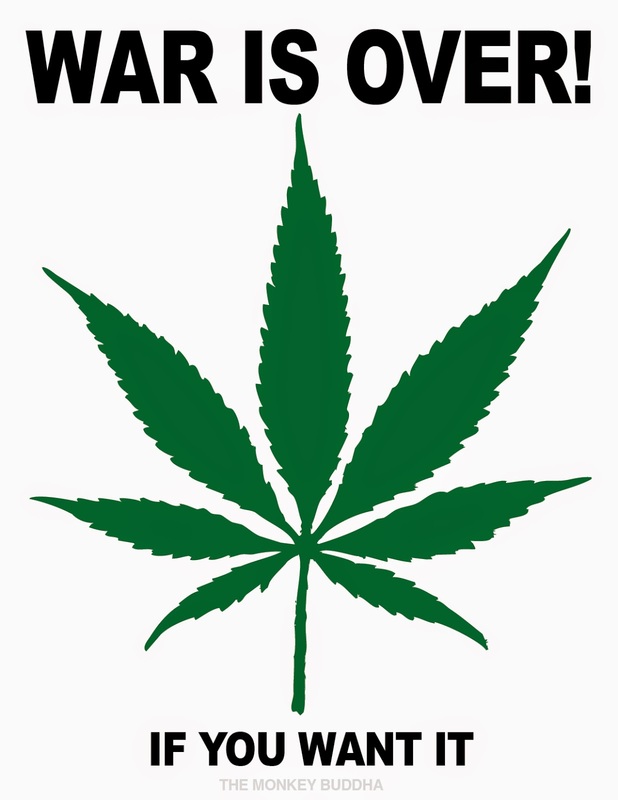 At first, I considered using the phrase "(Drug) War is Over" in the graphic. However, I decided to keep it phrased without the 'drug' reference. This way, it can also be seen as a call to end the overall "war" mentality that keeps us in the primitive mindset of aggressive primates. 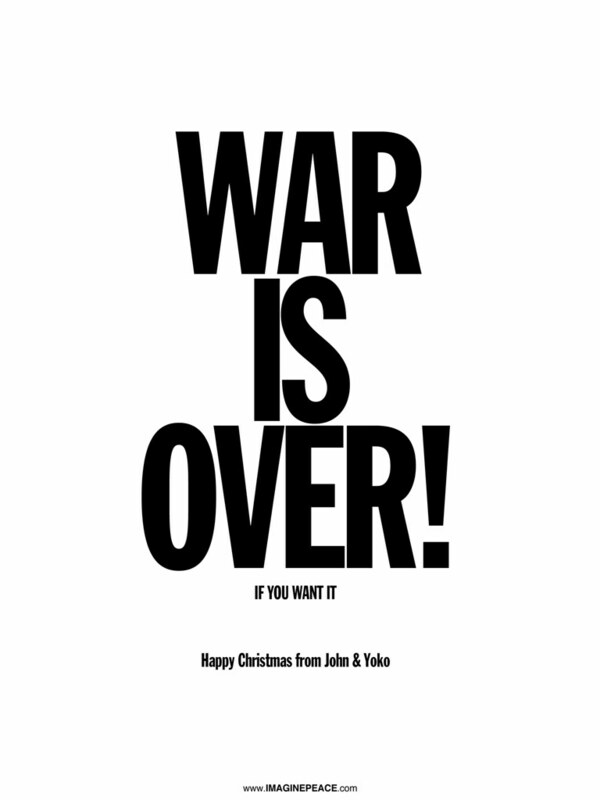 The inspiration is obviously from the "War is Over (If You Want It)" poster that John Lennon and Yoko Ono distributed during their famous "Bed-in" peace campaign in 1969, at the height of the Vietnam War. Today (April 20th) is the counter-culture holiday known as "420". I don't usually delve into the issue of "drugs" on this blog. I don't really think it's anyone's business what kind of legal or illegal materials you ingest, as long as you're not doing serious harm to yourself or others. When it comes to mind-altering substances or techniques, I think Graham Hancock said it best, "If we are not sovereign over our own consciousness, then we cannot in any meaningful sense be sovereign over anything else, either." Regardless of how you feel about the various issues regarding drugs, it's hard to argue that we have had positive results in addressing drug use within our modern culture. Most people would agree that the conventional approach to the "War on Drugs" as been a failure in almost every respect, other than lining the pockets of law enforcement, the prison industry, and criminal drug cartels. Countless individual lives and families have been ruined by the senseless crusade against the use of these plants & chemicals. Drug use & abuse should be considered health issues, not criminal offenses. The most absurd aspect of the Drug War is, without a doubt, the classification of the Cannabis plant as a Schedule I controlled substance. In my life, I've seen people under the influence of pretty much every substance imaginable. Alcohol and opiates are, by far, the most debilitating, addictive, and destructive in large doses. However, these are legal- sold everywhere in stores in the case of liquor, and prescribed by doctors in the case of pain-killing opiates. The worst effects I've ever seen in reactions to marijuana are not very harmful, like people becoming ravenously hungry or feeling paranoid for a short time. Most of the time, people under the influence of THC are quite happy, peaceful, and content to enjoy whatever they are experiencing at the moment. Using cannabis can be habit-forming, and the act of smoking anything is obviously not great for the lungs, so there are some downsides to it. These are not nearly sufficient reasons to criminalize the plant, though. The lethal dose (LD) of marijuana is so high that it is physically impossible to overdose (OD) on it. Despite this fact, this mildly psychoactive plant is placed in the most controlled category- more restricted than most highly addictive opiates. It is absolute madness, based on historical ignorance and century-old propaganda. In the future, people will look back on this time period with disdain, like we currently look on the Prohibition Era. The mass incarceration of people, especially over offenses for relatively harmless drugs like marijuana, will one day be widely seen as a violation of human rights on a grotesque scale. The tide is already turning, with many states in the U.S. decriminalizing cannabis. The "dominator culture" (as Terence McKenna would say) cannot suppress the will of the people to affect their own minds. Since ancient times, human beings have used various plants, substances, and physical techniques to alter their mental & spiritual states. In some cases, it has even been institutionalized, as in the case of Eleusinan Mysteries or indigenous shamanism. There is a growing movement of people who want to re-introduce these archaic techniques & sacred rites back into society, to help awaken it from its ego-induced slumber. Another effect of the Drug War and our current approach to drug scheduling is the inability to study certain compounds for scientific purposes. Despite their low toxicity & lethality, Schedule I substances like LSD, psilocybin, and MDMA cannot currently be researched for possible treatments to PTSD, depression, or other mental conditions. The bottom line is that the current approach to drug policy is unjust, unproductive, and completely irrational. This is also true for many aspects of our society- like politics, education, and health care. Maybe by ending the farcical "War on Drugs," we can focus our energy on changing other important aspects of our culture. Ultimately, this is an issue of personal freedom- We are not truly free, unless we have the freedom to explore our own minds. I was born the year Star Wars came out & have been a fan since I was early enough to remember. It is a modern-day myth, with both ancient roots and a glimpse into the future. The Star Wars saga has secured a place in the public consciousness that will last for generations. Being such a fan, I've also been very critical of the movies as pieces of cinema. I remember being extremely excited for the prequels and the backstory of Darth Vader. Although Episodes I-III aren't nearly as bad as people make them out to be, there were definitely questionable creative choices & opportunities lost. When Disney took over the Star Wars franchise & announced new movies, I was actually optimistic that we'd get quality movies that expanded the Star Wars movie timeline into the character's future. So far, the progress of "Star Wars Episode VII: The Force Awakens" has been extremely promising. The first and most important choice was to keep the original cast from the original trilogy. The fact that this happened is huge in keeping with the continuity of the characters & story. The updating of Rebel & Imperial elements from the original movies seems to be right on target, so to speak. Everything I've seen in the first 2 teaser trailers looks great. With the speeder in the far background of a desert planet (Jakku), moving past the aged remains of a downed X-Wing- the camera pans over the ruins of a giant crashed Imperial Star Destroyer looming in the background. You get the feeling that the era of The Galactic Civil War between the Empire & Rebellion was a long, long time ago. The scene gives a sense of size & scope that I wished Star Wars would utilize more. Space is so vast, and some fiction, like the game Mass Effect, tries to give you a sense of that immensity. This is a masterfully composed scene that makes you viscerally feel the scale of the situation. It also is a profound statement on the impermanence of mortal endeavors, no matter what the scale or motivation. I was also struck by the iconic image of Darth Vader's helmet. 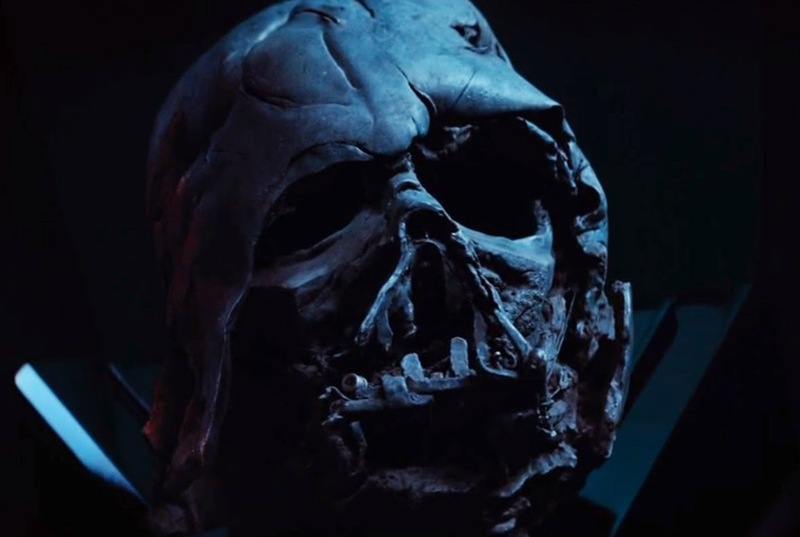 However, it is now twisted & melted, from the funeral pyre that Luke Skywalker made for his redeemed father's body & black armor, in "Return of the Jedi". You can't see who's holding the helmet, but I've read that the villain is someone obsessed with collecting Sith history & relics, which would nicely parallel the main character Rey's background as a scavenger. The familiar, but evolved, visual elements seem like a natural progression of the Star Wars universe. The fighter craft and uniforms of both sides are reminiscent of the older movies, but with an updated look. The Stormtroopers are still in their familiar white armor, but there are subtle differences. When I saw this scene, I noticed the new troopers, T.I.E. Fighters, and Imperial symbol on the banner. When I looked closer, though, I noticed the lone figure standing on the stage. Perhaps this is the new heir to Emperor Palpatine's position, as leader of the Imperial forces? Hordes of people are online picking this trailer apart for clues & tidbits that might tell us more about The Force Awakens. It seems like most people agree that this initial look gives reason to have high expectations when the newest installment of the Star Wars saga is released this Christmas. I am definitely excited about the potential of this movie. The kid in me is ready to experience new additions to the Star Wars story with fresh eyes. In my random Internet browsing, I came across an absolutely outstanding set of videos. 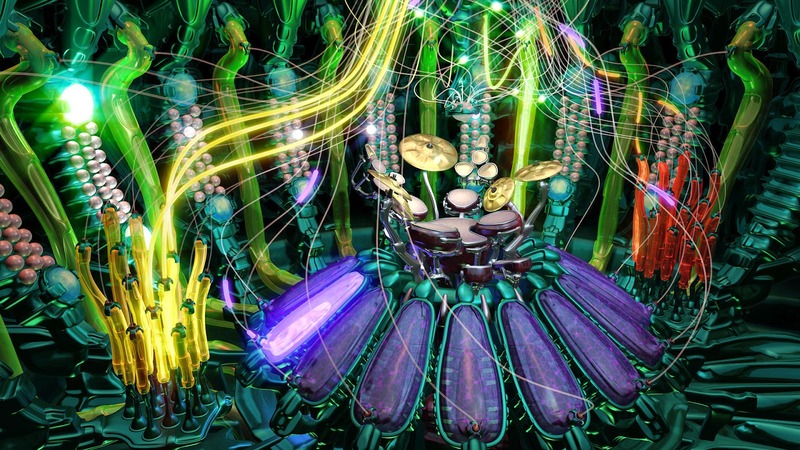 They are computer animations which create virtual "music videos" in virtual environments. The playlist is called "Animusic" computer animated music, uploaded by YouTube user Effchen. The 3D-rendered computer graphics are stunning, and really mind-bending if you take the time to watch them. The great thing about computer animation is that we can create & experience completely virtual spaces that look realistic- but are in fantastic environments with seemingly impossible instruments & objects. 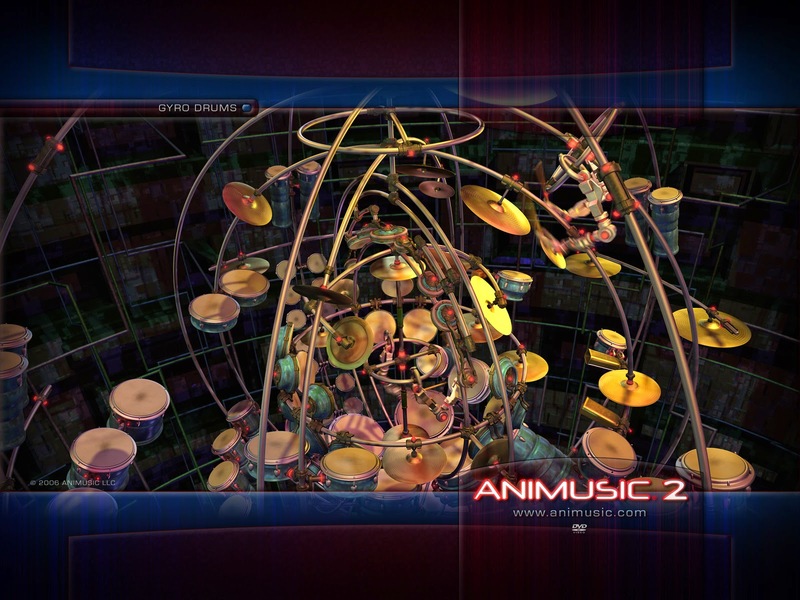 The Animusic videos have different themes, using the wonderfully surreal visuals to illustrate the music. The first video I saw was "Gyro Drums," a crazy take on the percussion solo. "Resonance Chamber" features classical string sounds, The video features a strange, but elegant-looking, hybrid instrument. 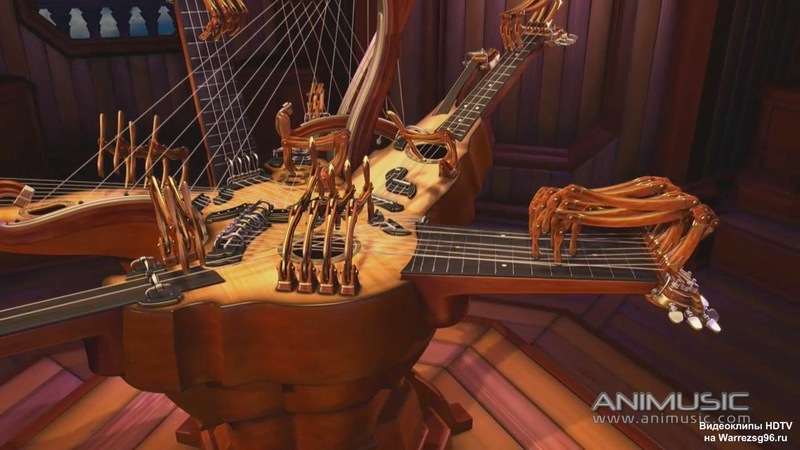 It is being played by spider-like mechanical fingers. There are also more futuristic & hi-tech themes, like "Fiber Bundles". Here, a rhythmic synergy is created between the light and the music to create a synesthesia-like effect. I would recommend checking out the whole playlist, for more of these awesome videos. Once virtual reality (VR) applications really take off, there will be no limit to the virtual spaces & novel experiences that the human mind can explore. The official website for Animusic sells the videos on DVD & Blu-ray. They also have some videos on their YouTube page. This is a video of something that never stops amusing me - apes & monkeys doing crazy things. 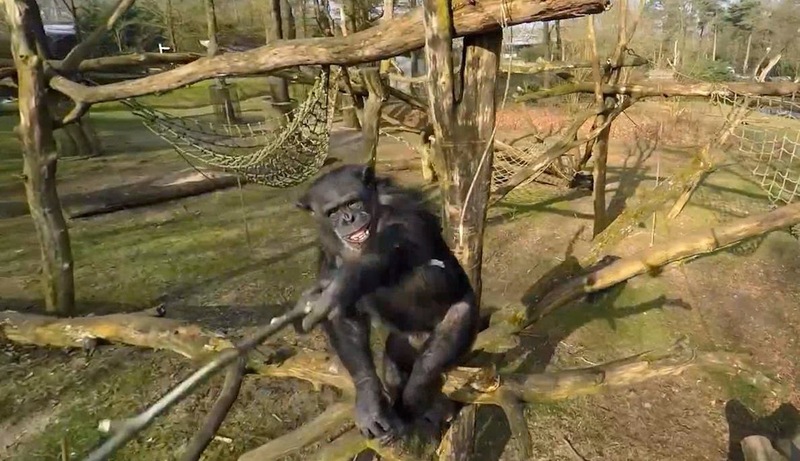 It's from a Dutch zoo, where a surveillance drone was filming while flying over the chimpanzee enclosure. As the remote-controlled drone glides over taking video footage, one of the chimps up in a tree smacks it with a branch. It's enough to knock the drone out of the sky. Some chimps then proceed to pick up the flying robot & look into the camera of this strange object. Perhaps it can be seen as a symbolic of the struggle in modern culture- between primitivism & advanced technology. Maybe it's a reminder at how ineffective our technology can be, in the face of the overwhelming power of nature. 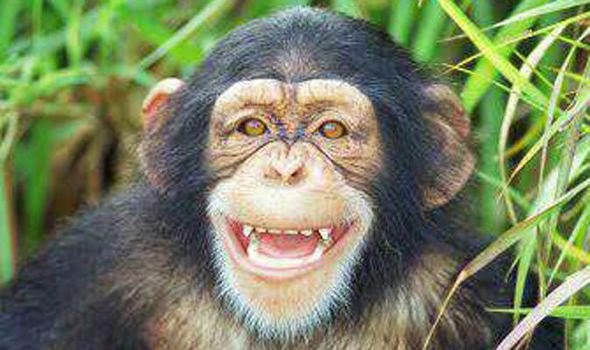 Mostly, I think it's just chimps being funny. 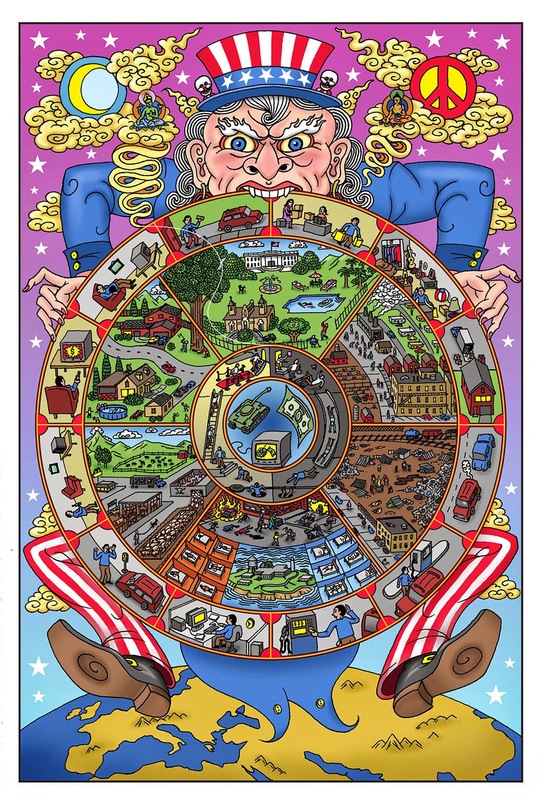 I saw this interesting & somewhat humorous "Mandala of American Life" on Ultraculture. It is called "Americosmos" by Darrin Drda. The image is a depiction of the "American way of life"- in the form of a Tibetan Buddhist mandala, or sacred diagram. It shows the illusory existence that so many people in this country experience, and the habitual patterns that give rise to our insane way of living. The traditional Bhavacakra mandala, known as "The Wheel of Life," is used as a meditation tool by Buddhists. This mandala is a representation of the idea of samsara, or the cyclic nature of existence. The circular wheel containing the images represents the cycle of life & death, with all the various karmic activities that lead to suffering. The very center of the mandala shows animals representing the 3 poisons; attachment (bird), aversion (snake), & ignorance (pig). People create their karma by acting through these poisons. In "Americosmos," the 3 poisons are shown as a dollar bill (greed), a tank (hatred), and a TV (delusion). The thin ring around the center represents people ascending in consciousness on one half (white), and people descending to lower consciousness in the other half (dark). The large divisions within the wheel show the six realms of samsara. The higher god-like states of being are on the top half, and lower hell realms are in the bottom half. These are the various states of being that a person can find themselves in during their lifetime. The outer rim of the wheel show the 12 causal links, more specific activities that show how people get trapped among the six samsaric realms. They are basically a lesson in cause & effect, the essence of karma. Our thoughts and actions affect our being, and without awareness we are stuck in habitual or destructive behaviors. In "Americosmos," these 12 links are related to the endless cycle of consumerism, which traps us in the attachment to material goods & worldly experiences. The giant demon holding the wheel is Yama, Lord of Death, representing impermanence & the transience of life. In "Americosmos," Yama is replaced by what the artist humorously calls "Uncle Samsara," a figure representing the illusion of nationalism & cultural identity. Finally, the Moon on the upper left (in both images) represents liberation from the suffering associated with samsaric existence. It is possible to break the cycle of karmic conditioning and habitual behavior & thinking, to attain a state of Nirvana. This is the state in which suffering from unsatisfactory experiences cease to arise, due to a more peaceful & conscious state of mind. The Buddha in the upper right points the way to the Moon, representing liberation. He pointed the way to this liberation through his teachings. The Four Noble Truths are the description of the problem of suffering, and The Eightfold Path is the Buddha's prescription to alleviate this suffering. Mandalas, like these, are way to graphically depict profound teachings, in a way that people can easily understand. They are meditation aides that should be carefully studied, understood, and pondered to cultivate a higher awareness and deeper consciousness. Last week, I was watching a TED talk which made me think of the quote above, by the great Arthur C. Clarke. The presentation was by Joseph DeSimone, the CEO of Carbon3D. He was demonstrating a new approach to 3-D printing, that was inspired by the T-1000 "liquid Terminator" from the Terminator 2 movie. He was showing Carbon3D's innovative technique, called CLIP- "Continuous Liquid Interface Production". Instead of laying down layer after layer of plastic material, like current 3D printers, Carbon3D CLIP technology uses a pool of liquid resin or polymer. A tray is slowly raised out of the polymer, while a combination of oxygen & ultraviolet light are used to cure the material as it is continually lifted out of the liquid. 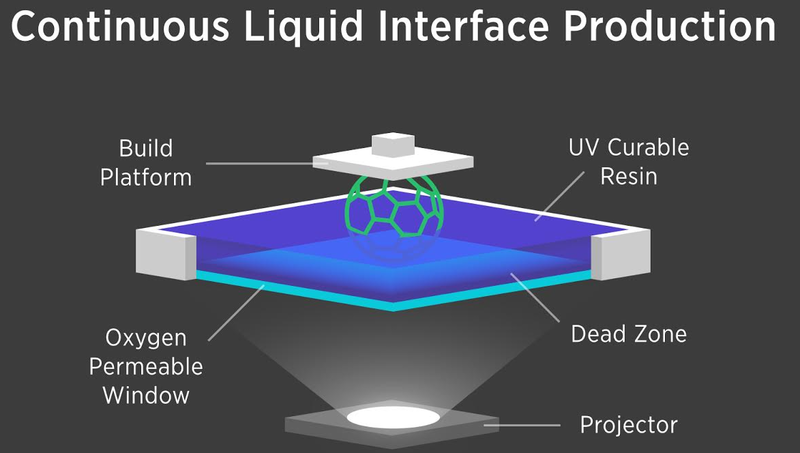 The process is controlled by software that directs the UV light to cure specific areas as the object is being formed. The effect is definitely magical when you see it, because it appears that the object is being spontaneously created from a liquid puddle. In addition to being faster than traditional 3-D printing, it is also a sturdier way to fabricate objects, since there are no striated layers that form weak points in the material. This new technology has the potential to not only revolutionize 3-D printing, but manufacturing & fabrication on a mass scale. Here in America, Christian & Jewish people are celebrating Easter or Passover, respectively. I consider myself to be a person of world interests, so I like to learn about the traditions of different cultures. It turns out that today Hindus celebrates the festival "Hanuman Jayanti". It is the birthday of the popular god of the Hindu pantheon, the monkey-faced Hanuman. 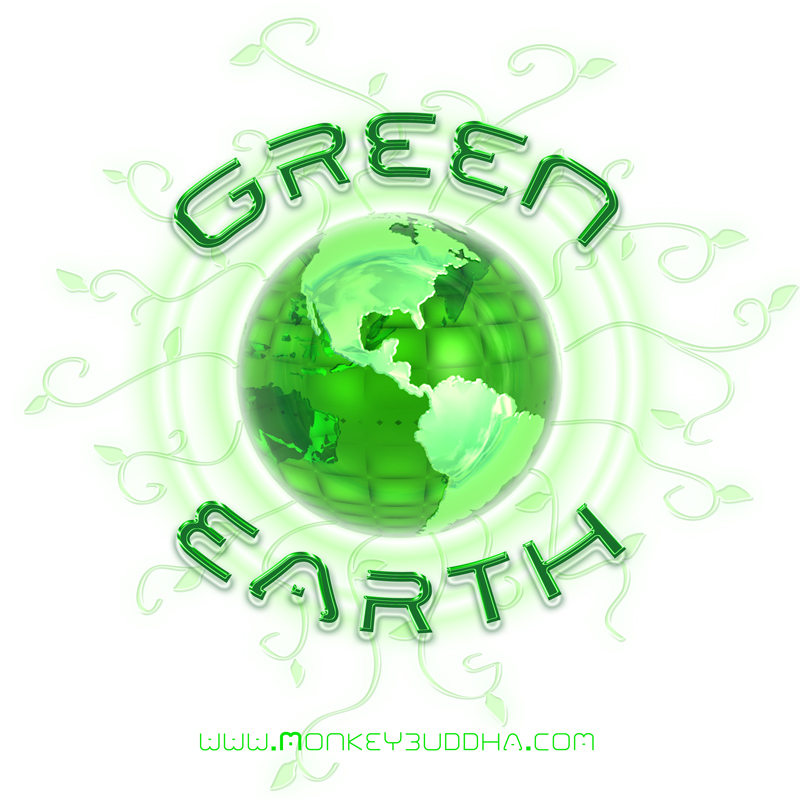 I have posted about Hanuman before, and I actually used him as the avatar for this blog when I first started it, since he looks kind of like a "monkey buddha". 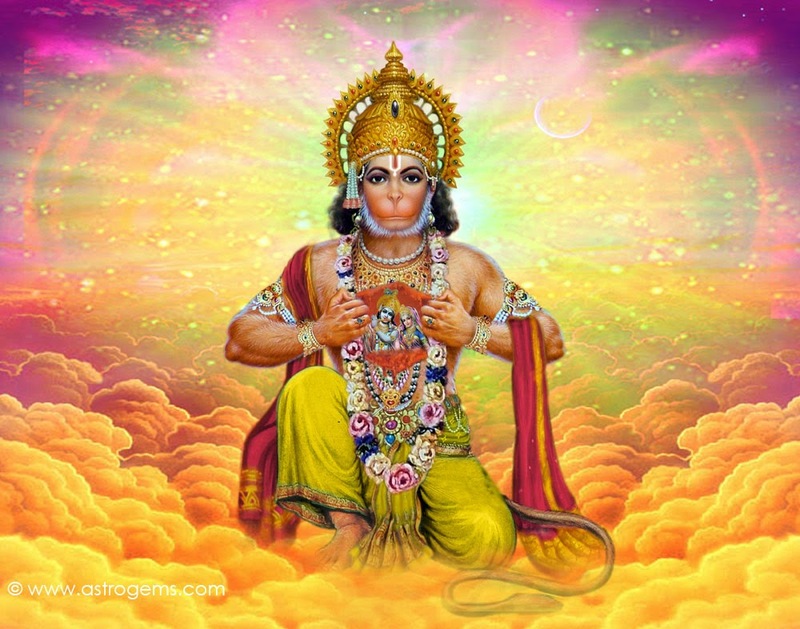 A couple days ago, my girlfriend said the instructor of her yoga class told her about the festival for Hanuman. That's how this celebration came to my attention. She also played this instrumental of the Hanuman Chalisa, a devotional hymn. There is no reason "Why?". 'Meaning', 'purpose', & 'reason' are all subjective, abstract creations of the human mind. I don't think there is any external reality or inherent aspect of the Universe that determines a "purpose" to a person's life. • This secondary function is the propagation of information across time. For billions of years, this has meant copying genetic information to another generation. Now, perhaps the transmittal of memetic information, such as stories, art, writing, history, etc. can also be seen as part of that function. I would also say that, in a universal sense (and perhaps on a spiritual level), the phenomenon of Life is a way for Reality itself to create a feedback loop of experience. In a sense, the perceptions of living things exists to feed information back into the quantum field, existing everywhere in constant fluctuation. I would say this is a "function" of Life, more than a "meaning" or "purpose". The idea that "Life has no meaning," should NOT be a depressing or negative assertion. 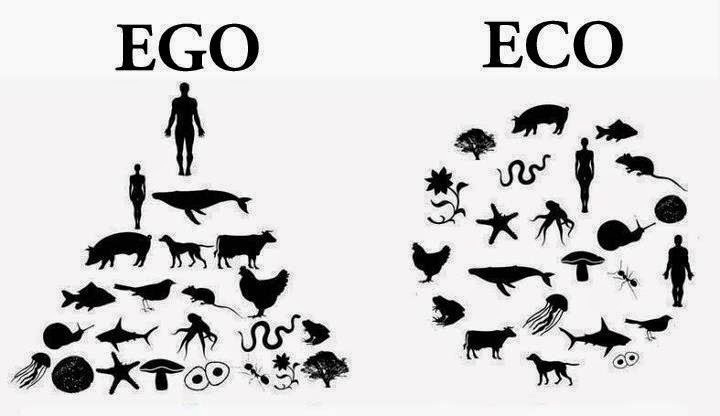 If this bothers you, it's a sign that you're stuck in an ego-centric point of view. Why should any one of the billions of talking, technology-using, hairless monkeys that have walked this planet have any particular "meaning" assigned to it? The wonderfully empowering fact is, that people can create ANY meaning they want for their own lives. The Universe represents endless possibilities and opportunities for each person to carry out their existence, in the way they feel most fulfilling. There is no cosmic or divine standard that we should be seeking to fulfill. Each person's destiny is a mixture of circumstances and how one responds to these circumstances at any given moment. By being the conscious, creative engines of our own lives, we can follow a path that makes us feel positive and fulfilled, as individuals. We can create meaning throughout our lives, as an artist brings creations into existence. There is no meaning to seek, and no mysterious purpose to uncover, outside yourself. Just try to be present in each moment, appreciate the experiences you get to have, & live in the way that feels right to you. 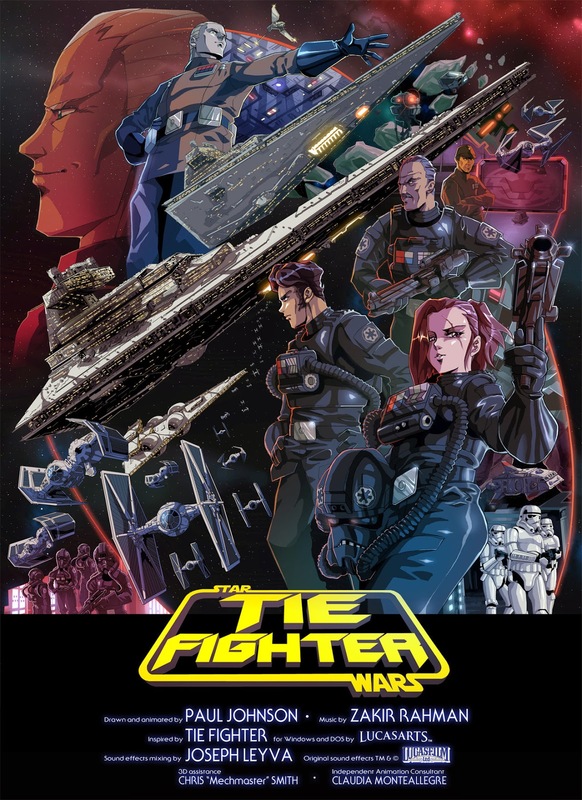 This is a short film (7:30min) in anime style, depicting the Star Wars universe from the point-of-view of The Empire. It's pretty awesome. The animation was done by Paul Johnson, aka MightyOtaking, aka OtaKing77077. It took him 4 years worth of weekends to create, and his effort resulted in a stunning depiction of the Imperial Navy going into battle with Rebel forces. There are a lot of visual references to the classic 1990's computer game TIE Fighter, which I played constantly when I was in high school. In this video, the cockpit design of the TIEs, the Interdictor-class Star Destroyer (with gravity well generators, to prevent hyperspace jumps), the different TIE Fighter styles, and other details are reminiscent of the game & other aspects of the Star Wars expanded universe. The only thing I wasn't really crazy about was the crazy guitar soundtrack. I guess it fit with the anime style animation, but I would have preferred some John Williams orchestral music. Otherwise, it is an impressive piece of Star Wars fan art. On a related note, the name T.I.E. Fighter stands for "Twin Ion Engine". George Lucas's views of futuristic technology were prescient. 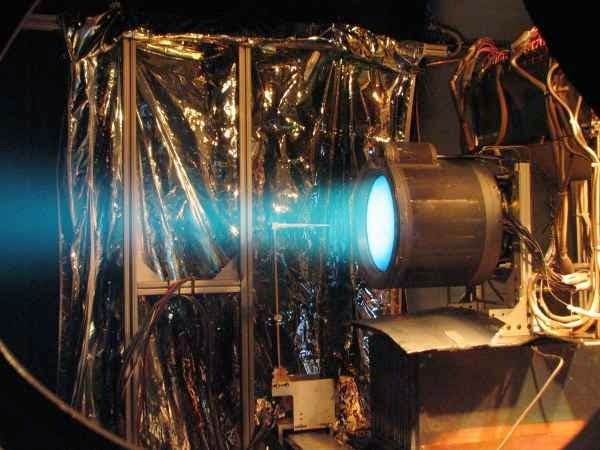 Researchers are currently developing ion propulsion systems for a new generation of spacecraft. It is an extremely effective mode of accelerating vehicles or unmanned probes. It's just one of the ways Star Wars, like other science fiction visions, can be manifested into reality.